In April of 1992, a body of a full-term newborn girl was found on the bank of the Mississippi River by a man who was walking his dog. The girl, who was later named Baby Girl April, died of suffocation and hypothermia. Moline Police Detective Scott Williams told the Quad-City Times in April 2014, “What the man found still haunts police and has them wondering why someone would discard a healthy full-term baby 24 hours or less prior to the discovery”. After 25 years, her killer has still not been found and it’s become a case that still haunts the police and prosecutors. After all this time, it is still on the forefront of their minds. 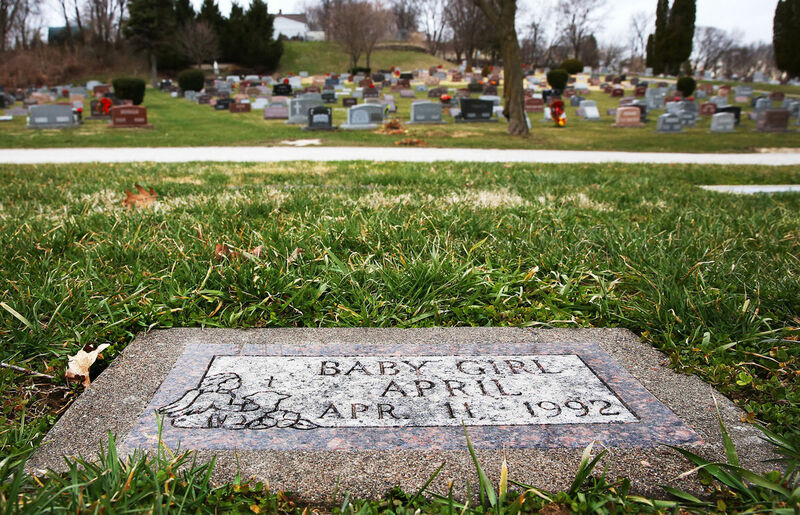 Several days after Baby girl April was discovered, she was buried. Throughout the years, the police have worked to discover the person who murdered April, but have not had any success. In December of 2014, McGehee announced his office had filed a first-degree murder charge against the DNA profile of an unknown female based on DNA that was found at the scene of the crime. Under Illinois law, although a suspect has not been identified, a DNA profile is specific enough to file criminal charges. In 2014, McGehee and Moline’s lead investigator on the case, Police Detective Michael Griffin, said that they were in the process of submitting more DNA evidence to the University of North Texas. This was done so they could conduct mitochondrial DNA analysis in the hopes that it would help determine Baby Girl April’s family lineage. On Thursday, McGehee said there have yet to be any hits with regards to the submitted DNA and states that Griffin periodically checks in “to make sure we’re not forgotten here in Moline”. He admits that it’s very frustrating that the killer has not been found. Between 1988 and 2003, 18 babies in the Quad-Cities area were found either dead or abandoned. In 2001, both Illinois and Iowa passed safe-haven legislation in an attempt to try to prevent such illegal abandonment. In Illinois, a parent can take an unharmed newborn and hand it to staff at a hospital, fire or police station, or an emergency medical center and leave in complete privacy without fear of prosecution. In Iowa, a baby can be taken to a hospital, health clinic or nursing home without fear of prosecution. Anyone with information on the Baby Girl April case may contact Moline police at 309-797-0401 or Crime Stoppers of the Quad-Cities at 309-762-9500. A link to the original article can be found by clicking here.